Get excited Rogue One: A Star Wars Story fans! Hot Toys is continuing its popular line of Star Wars: Rogue One Cosbaby mini figures with three new 2 figure sets! First up is this awesome box set featuring rebels Jyn Erso and Captain Cassian Andor. Who isn’t enamored with the cool headed Cassian and the defiant Jyn, both skillful soldiers of the Rebellion determined to ruin the Empire's scheme to launch its weapon of destruction – the Death Star. 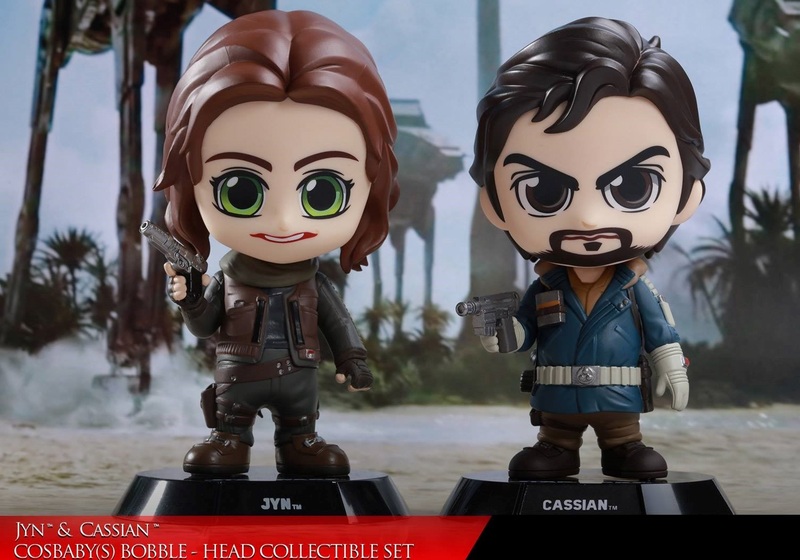 The Star Wars: Rogue One Jyn Erso and Cassian Andor Cosbaby Set features versions of each figure that are only available as part of this 2 piece set. Each figure stands approximately 3.75” tall. This Rogue One duo will be essential to your quest to complete your Star Wars Cosbaby collection!